Purdue’s Discovery Park Big Idea Challenge was developed as a way to focus on interdepartmental research tackling global challenges. They focused on the power of convergence, believing that an approach that coupled research in traditionally siloed STEM disciplines could provide new insights to confront and tackle these challenges. The call for the Big Idea Challenge proposals resulted in a massive response across Purdue’s campus. Discovery Park received 46 proposals from more than 230 faculty, representing all 10 colleges and 45 departments. Seven winners were chosen, the department of Computer Science was represented by Dongyan Xu and his team of researchers. Their topic, “Towards Cyber-Physical Vetting of Critical Infrastructure,”addresses the security and reliability of cyber-physical infrastructures and systems. According to Xu, “The goal is actually very simple, we want to protect our critical cyber-physical systems and infrastructures that are increasingly computerized. There are many physical systems on the market being retrofitted or equipped with computers and microcontrollers to govern the physical operation of these systems.” With continual technological advances and the Internet of Things (IoT), web-based technologies are becoming increasingly integrated into the physical fabric of our surroundings. Critical infrastructures, such as those in civil, energy, manufacturing, and national defense domains, are increasingly interwoven with cyber components such as sensing, computing and control devices. Demonstrated in the presentation, Xu discusses how drones, CATVs, smart buildings, IoT devices, and even nuclear reactors are potentially vulnerable to cyberattacks. 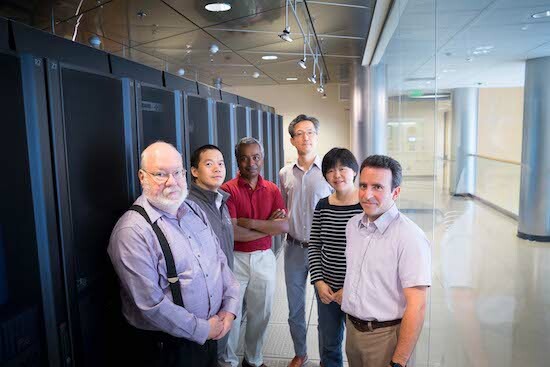 The team’s collective expertise brings proficiency in the areas of cybersecurity, defense, engineering, and computer science to expanding their understanding of risks and impact scenarios in cyber-physical infrastructures. “Our effort brings together top experts across campus and incentivizes them to collaborate in a synergizing, cross-domain fashion—just like our framework,” says Xu.